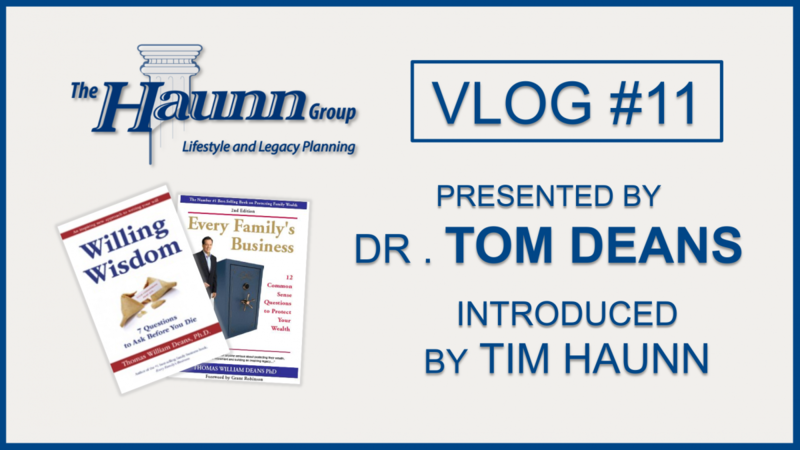 In this segment, Dr. Tom Deans, best-selling author of Every Family’s Business, discusses the second book he released, Willing Wisdom. He explains the importance of families members having meetings to discuss their estate planning and their wills. He also touches on some important questions that are mentioned in his book. We hope you enjoy.